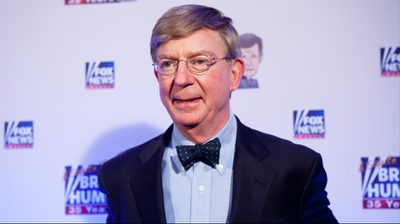 What does it take to get George Will — the icon of conservatism for the last 30 years — to beg us to vote against the GOP? Answer: A president who is neither liberal nor conservative, but venal, ignorant, narcissistic, and pathologically dishonest. George Will: Vote against GOP in midterms thehill.com/homenews/39372… // a press icon of Reagan era so this is pretty spectacular. 1) George Will says vote for Democrats. 2) Hell Freezes Over. 3) Fox News covers #2 as an argument against climate change.